We are so grateful to all of our friends and supporters of the Archive. Thank you all so much! Together we are making the teachings of Lama Yeshe and Lama Zopa Rinpoche more easily available to everyone, everywhere. Read on for a recap of 2015 and a preview of the many projects in the works for 2016. As we outlined in our 2014 five-year plan, all of us at the Archive have been working toward the day when we could present the precious teachings in all their multimedia aspects: written teachings enhanced by images, audio and video from that teaching plus informal video, advice on the same topic and other related Archive material. We have been thrilled this year to begin publishing such multimedia titles, including classic teachings by Lama Yeshe and a new series based upon Lama Zopa Rinpoche’s Bodhisattva Attitude. We hope that these multimedia presentations will serve to immerse you in the Lamas’ precious teachings and will enhance your understanding and practice of them. By weaving Archive resources together in this way we hope to provide you with the means to deepen your experience of the teachings—the next best thing to having attended the teachings in person. Every month or two we share new archival video on our website and our YouTube channel and integrate it into upcoming multimedia titles. 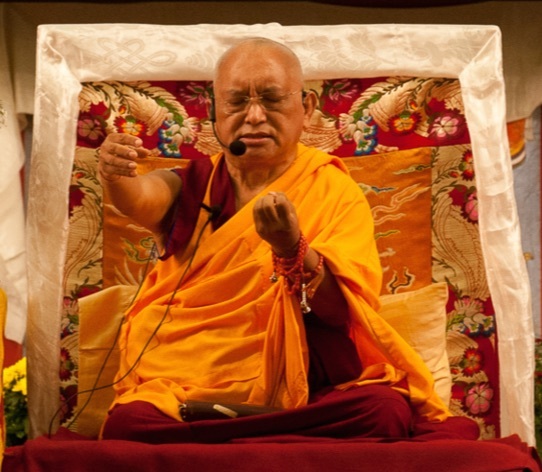 Here's a taste of our latest offering: Lama Zopa Rinpoche teaching on how to develop compassion for all beings, from teachings given in Kuala Lumpur, Malaysia in May 2006. 2015 saw the launch of a completely redesigned and updated LYWA website. The new site design is spacious, clear and easy to read, with every single page including at least one high quality image from the vast LYWA image archive. On the website, Lama Zopa Rinpoche's Online Advice Book has been completely redesigned. You can easily search for an individual advice from Rinpoche and share it with others. The main Teachings search page now offers greatly improved features to help you easily browse for Dharma topics and to search and sort your results, and a new "View advice from Lama Zopa Rinpoche only" button will instantly show you all of Rinpoche’s advices on any particular topic. Our Image Gallery is incredible with hundreds of historic images. Explore the images through the slideshow feature for each gallery and download individual images of the Lamas for your personal use. Best of all, the new LYWA website responds perfectly no matter what kind of device you are using so you can explore the Archive from anywhere on your phone, tablet or desktop. 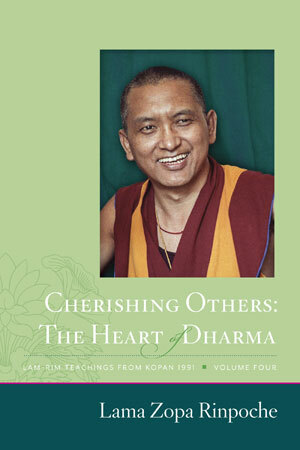 In 2015 we completed our first ebook-only series: Lam-rim Teachings From Kopan 1991, a four-volume set including all of Lama Zopa Rinpoche’s teachings from the 24th Kopan course. We re-edited and totally redesigned Teachings from Tibet: Guidance from Great Lamas, which had been out of print for several years. We were delighted to make it available to you as an ebook and again in print as a free book. We also published a number of titles that had previously been available only in print: Ven. Fedor Stracke’s Dharma in Daily Life: Urban Meditation Skills; Ven. Thubten Gyatso’s A Perfect Mirror and A Leaf in the Wind; and Lama Zopa Rinpoche's Joyful Parents, Successful Children, originally published by Amitabha Buddhist Centre in Singapore. 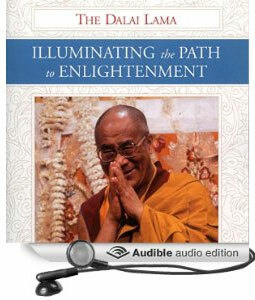 Audible.com produced LYWA’s first four audio books in 2015: His Holiness the Dalai Lama's Illuminating The Path, Lama Yeshe's Becoming Your Own Therapist, and Lama Zopa Rinpoche's How Things Exist and How to Practice Dharma. We were delighted that the world’s biggest audiobook company would work with us to bring our Lamas to so many more people in this way. Aryatara Publications completed German translations of two of Rinpoche's books: The Direct and Unmistaken Method and Daily Purification: A Short Vajrasattva Practice. We received a beautifully designed version in Russian of Lama Zopa Rinpoche's The Heart of the Path, translated by Maya Malygina and edited by Yury Kanchukov. You can also find a pdf of Lama Yeshe's The Peaceful Stillness of the Silent Mind, translated by Anastasiya Makarova and checked and compiled by Ana Stoliarova. We have more Russian translations on the way! Two new Vietnamese translations of talks by Lama Yeshe, On Marriage and Be Your Own Therapist, and a Croatian translation of a short Tara practice composed by Lama Zopa are now our website. We are working with FPMT Taiwan to publish new Chinese translations of Rinpoche’s teachings. and keeping you connected through social media outlets like Facebook, Twitter and Instagram. And we rejoice in all the ways that the Lamas' teachings can be accessed today by everyone, around the world! We also have a number of book projects that are already underway in 2016. Work continues on the forthcoming Big Love: The Life and Teachings of Lama Yeshe. This incredible book by Adele Hulse has been in the works since 1992. 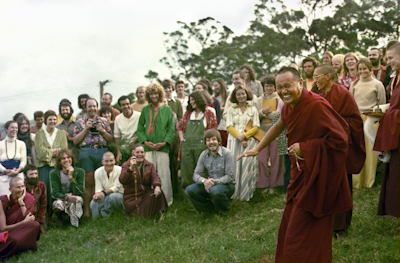 The most ambitious publishing project ever undertaken by the FPMT, it tells the story of Lama Yeshe’s life, Lama Zopa Rinpoche’s close association with him and the development of the FPMT. It also contains many unpublished teachings by Lama Yeshe. This major work took eighteen years to write and has been in the editing process for about five years. We are now in the throes of photo selection. We have tens of thousands of historic photos to go through to select some 1,000 for inclusion in the book. It will probably take six to eight months to complete this and then the book will be sent to Gopa, our wonderful designer, to be laid out. Our plan is to publish the book this year in two approximately 600-page hardcover volumes in a slipcase. While this work continues, a final round of edits also is being made for Lama Zopa Rinpoche's 2014 teachings in the UK that will be published in both print and ebook formats. We are also continuing to work on the FPMT Lineage Series books, with Rinpoche’s Good Life, Better Death: Teachings on Impermanence next in the publishing pipeline. Ven. Sarah Thresher continues her work on the forthcoming volumes in the Heart Advice series for print and ebook, while also continuing her work with our ePublishing Manager Megan Evart on the expanding Bodhisattva Attitude multimedia series. Alison Murdoch is working on a wonderful book entitled Lam-rim Year. This will be an easy-to-use resource for Dharma students who wish to deepen their understanding and practice of the lam-rim. Following the outlines created by Pabongka Rinpoche and other lamas and drawing on the extensive material in the Archive, Lam-rim Year will provide 365 days of inspiring quotes and thought-provoking commentary from Lama Yeshe and Kyabje Lama Zopa Rinpoche. This resource will also be made available as an ebook, a smartphone/tablet app and on line. And we have multiple projects in the works of teachings by Lama Yeshe. Ven. Connie Miller has finished editing Lama Yeshe’s Gyalwa Gyatso teachings, which we expect to publish this year. 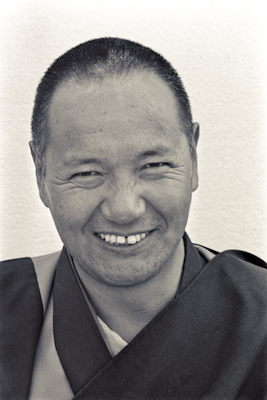 We have also compiled a collection of Lama Yeshe’s talks, primarily from the Kopan courses, to include in a single volume and the work on Lama Yeshe’s Dharma-dharmata commentary by Jon Landaw continues. Finally, we are putting the finishing touches on another ebook by Ven. Thubten Gyatso, The World of Buddhist Psychology; starting work on an ebook of Geshe Jampa Tegchok’s teachings on the Heart Sutra and the Eight Verses, and planning to publish an ebook by His Holiness Zong Rinpoche on lo-jong. We are also preparing several manuscripts by Lama Yeshe and Lama Zopa Rinpoche for publication by Wisdom Publications. We could not do this if we were not in parnership with all of you. Everyone who supports our work with their donations, who reads or shares these teachings in print or online, or who brings the teachings to life by showing love and compassion for all is taking part in our mission to bring peace and happiness to the world through these precious teachings of Lama Yeshe and Lama Zopa Rinpoche. Thank you so much! May all benefit.